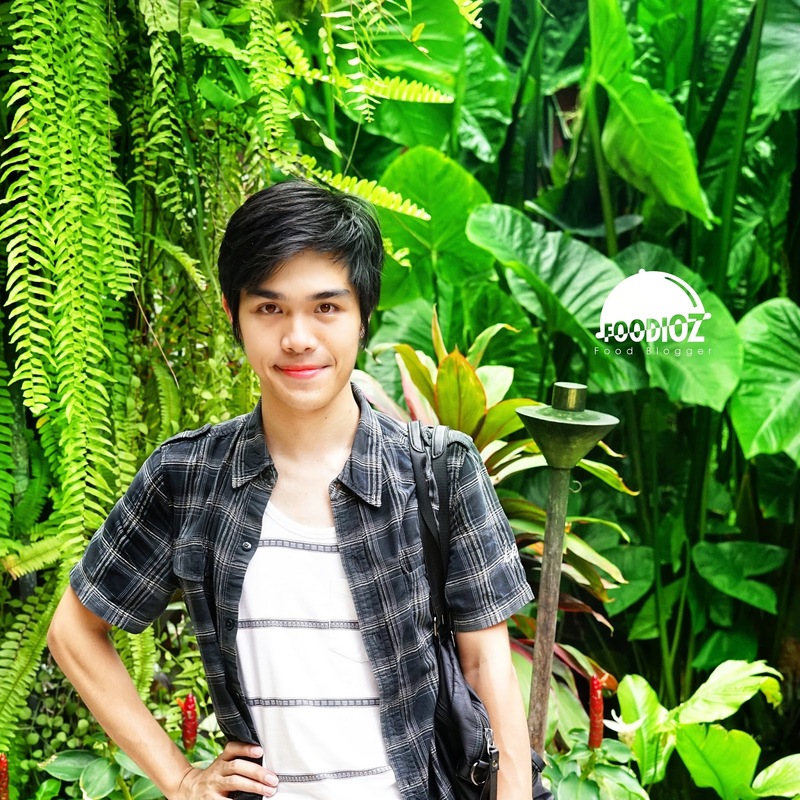 The second hotel destination i visited on this Bali vacation with Chope Indonesia was Hotel Indigo. One of the hotel in Bali today that is being talked alot in Jakarta society. 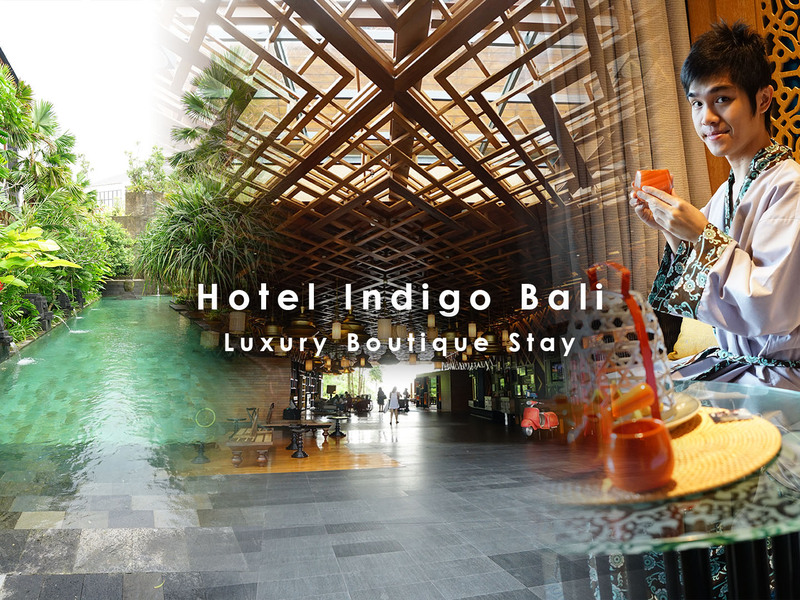 The hotel is relatively new since 1 year ago, this became one of the destinations that must be visited when vacationing in Bali. A 5-star boutique hotel with an amazing artistic design. Visible from the first time i arrived at the Indigo hotel and was greeted with a very large main lobby. 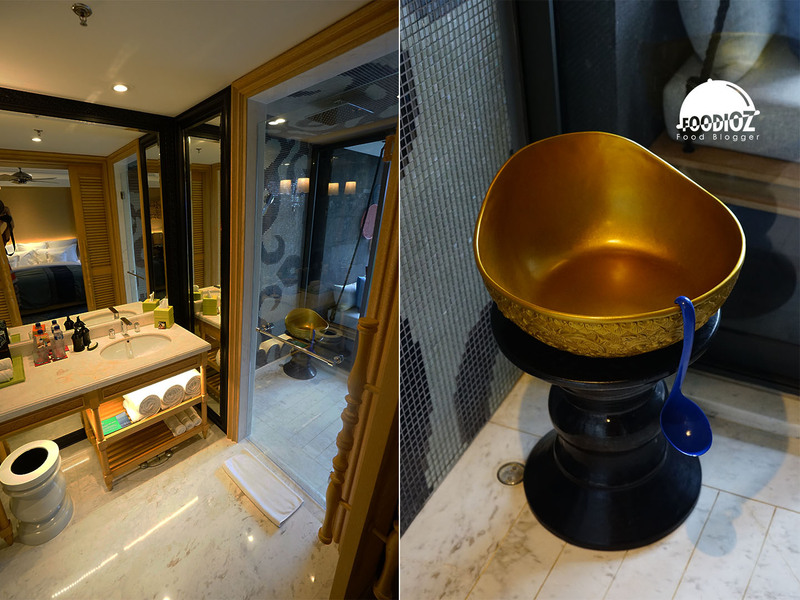 Local cultural ornaments with modern art perfectly blend into an amazing design throughout the hotel. 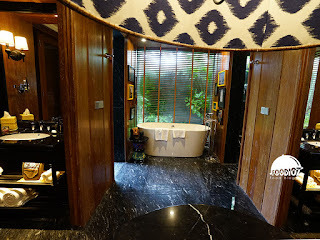 The distinctive Indonesian ornaments that are clearly visible from the hanging lights are inspired from the Banjar culture, then the entire carving shape of the walls provides a touch of ethnic and stunning artwork. 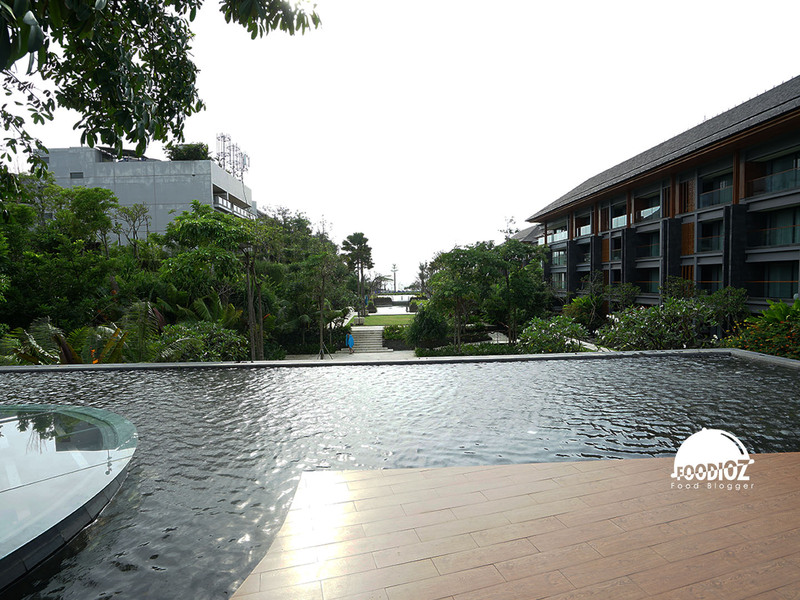 From the guest lobby area will see the overall view of the hotel with greenery scene, long swimming pool and distant beach looks. But because the weather was not good, the rain was quite heavy, so i couldn't take photos when arrives there. 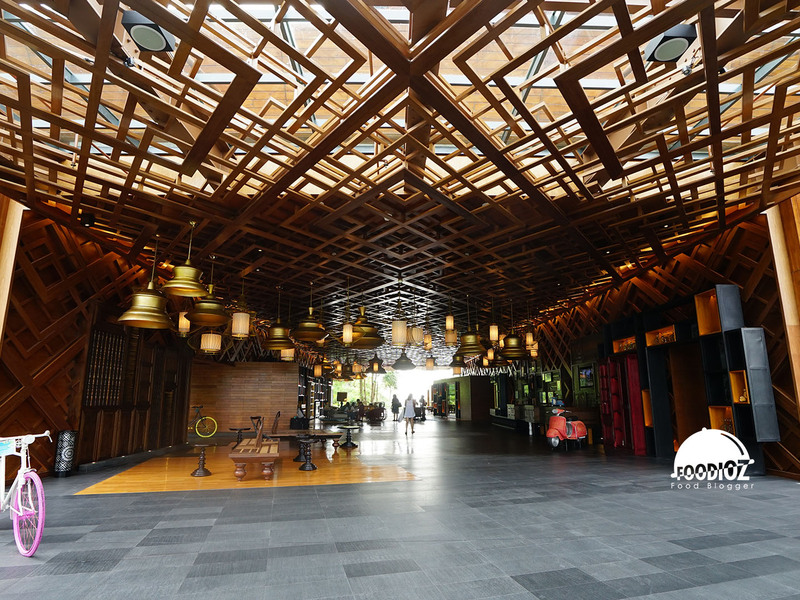 However, the bright early morning provides a great opportunity to explore the whole of this hotel. 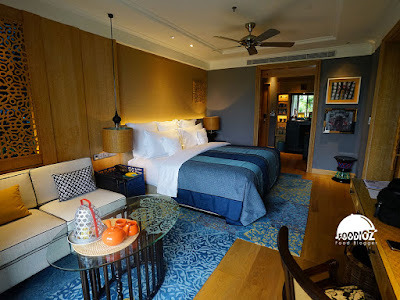 It starts from a really charming room, with the inspiration of Balinese songket weaving in every room there are soft colors between white and golden brown combined with bright wooden elements, blue floral patterned carpets. Each side of the room there are several frames with a touch of artwork that beautify the room. 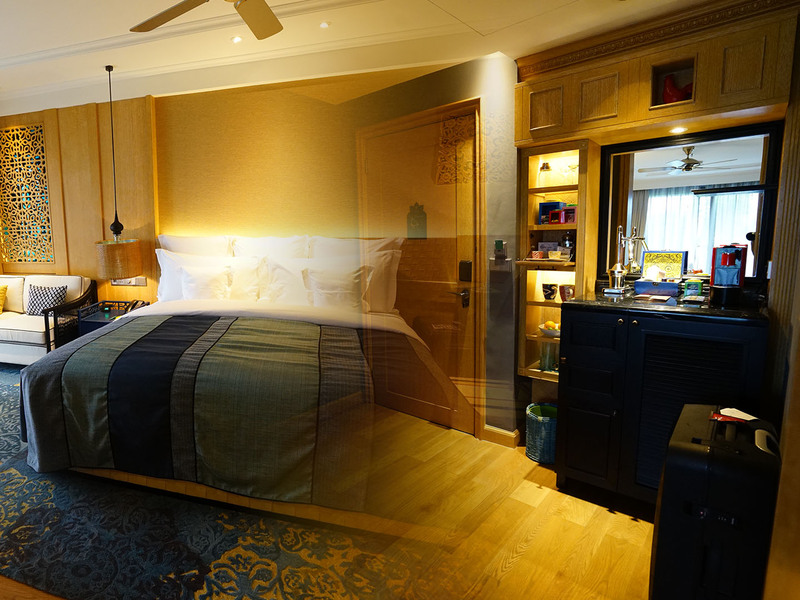 There is a complete mini bar, then a coffee machine, even a glass of wine. 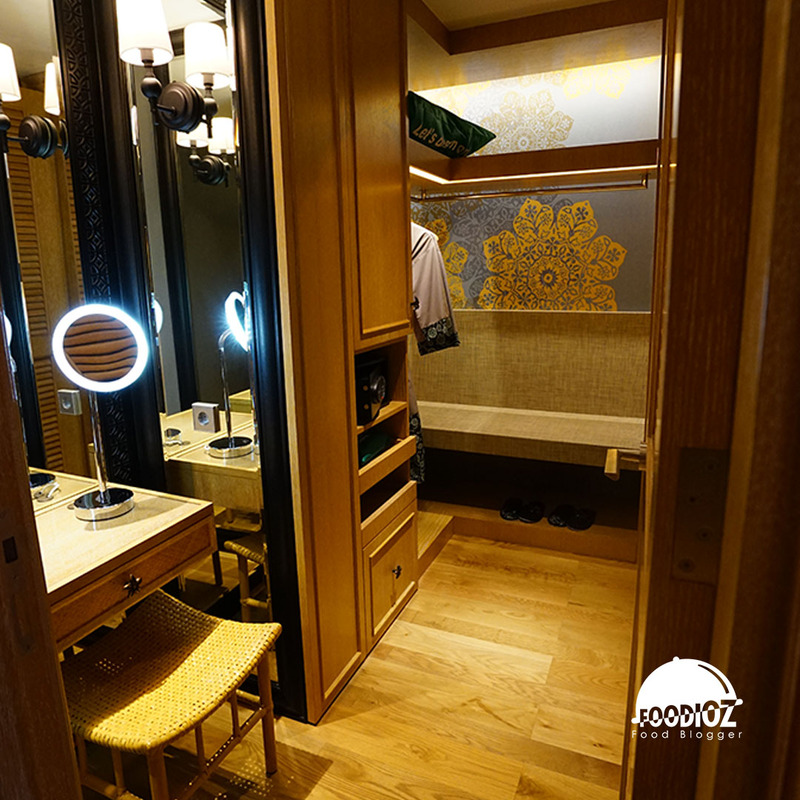 Guests will also be pampered with a homey closet room that feels comfortable with the spacious area. 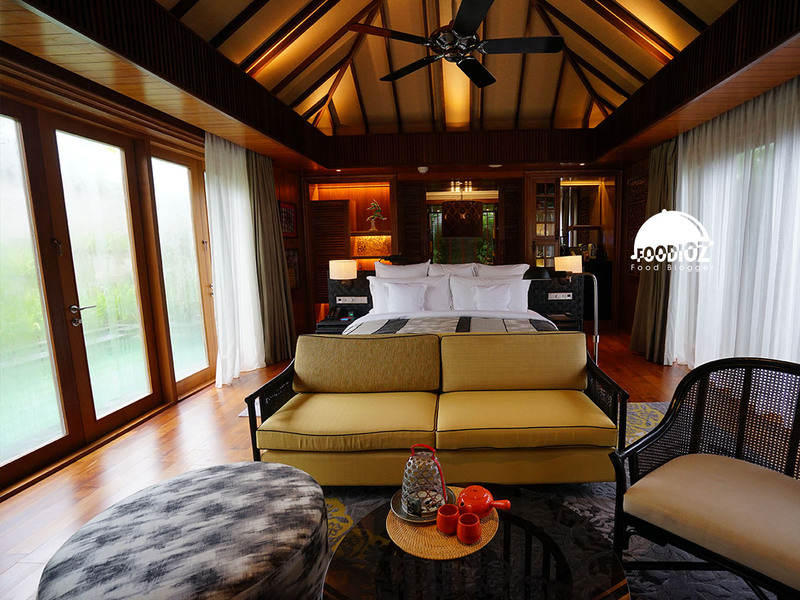 It should be a luxury hotel with full facilities so guests will feel completely at home. Beautiful bathroom with the same color between white and bright brown, complete with unique amenities and suit, there is a gold-plated bucket with a paddle like bathing equipment used by the people of Indonesia in the past. 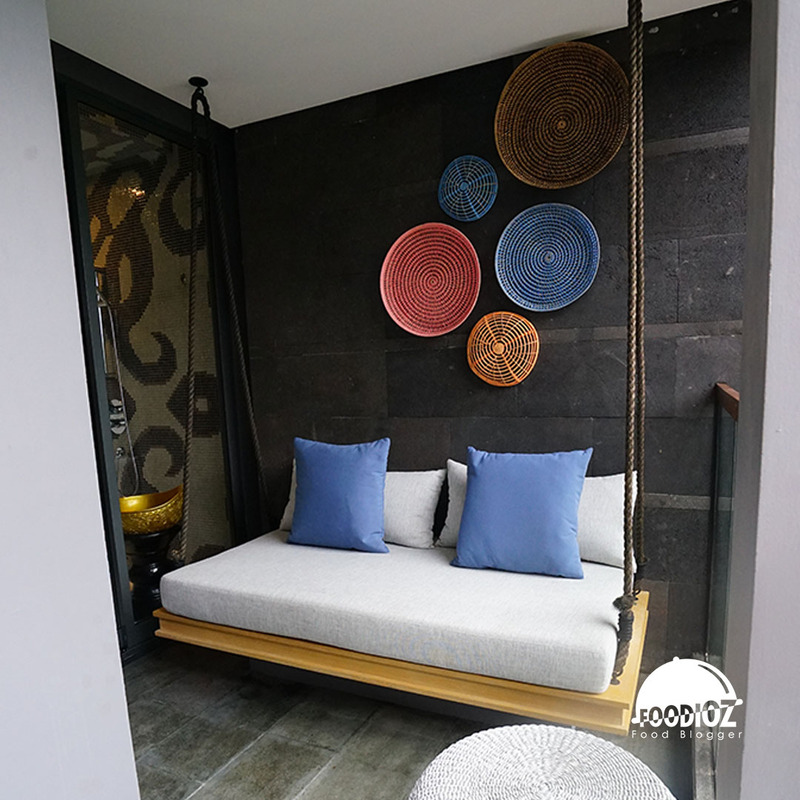 Do not forget to enjoy the calm atmosphere of the hotel by relaxing on the swing on the balcony with a view of the green garden area. Cool air, a truly calm atmosphere will certainly be a relaxing and enjoyable holiday experience. 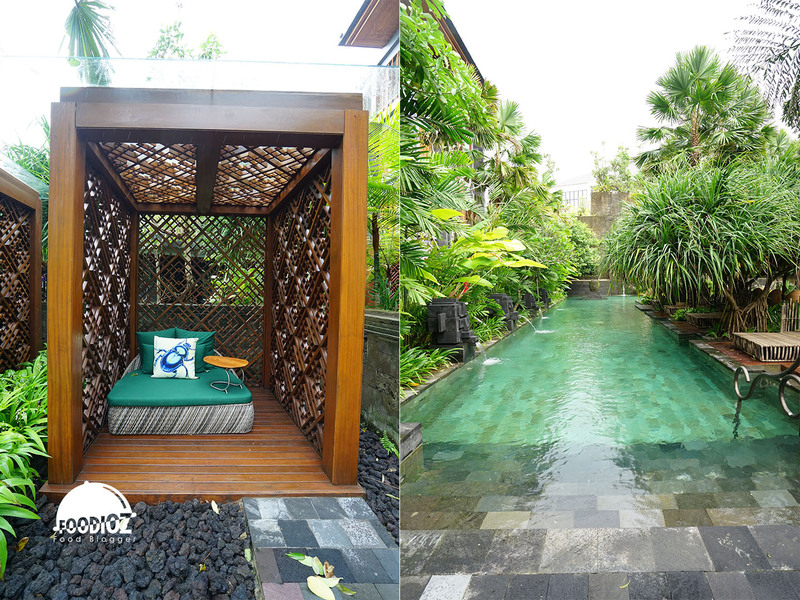 Besides the comfortable rooms, Hotel Indigo also provides a stunning private villa. 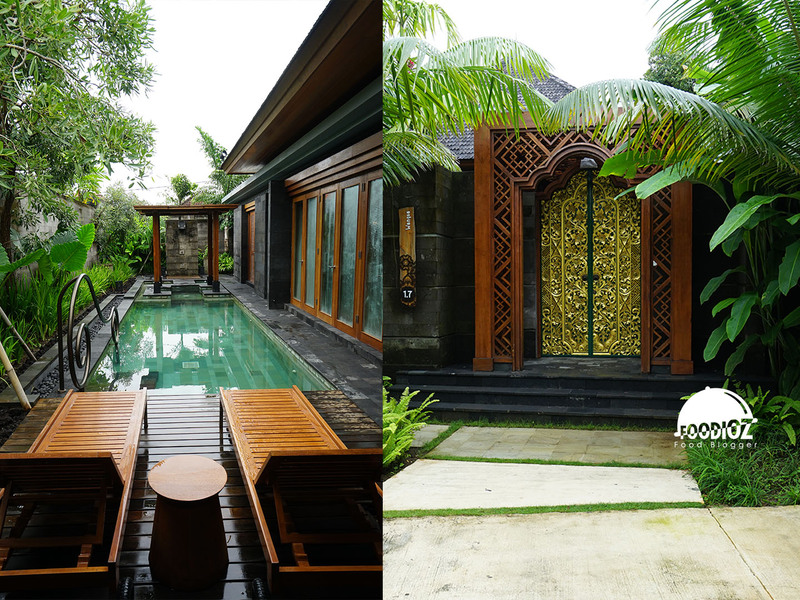 With luxurious facilities, a private pool, beautiful rooms with Indonesian ornaments, complete with a bathtub that is certainly comfortable and pamper the holidays. Guests can enjoy breakfast at the Makase restaurant located on the lower floor of the lobby. 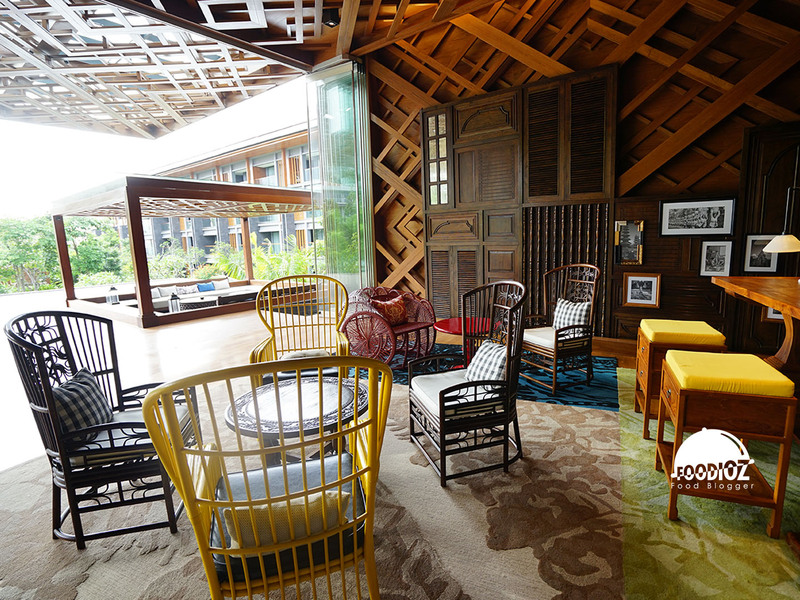 No less impressive, the restaurant is full of local art touches with diverse desks and tables. For the food menu offered is not much like other 5 star hotels. But quite varied choices that can be enjoyed of various kinds of milk, cheese, fruits and special menus that change every day. 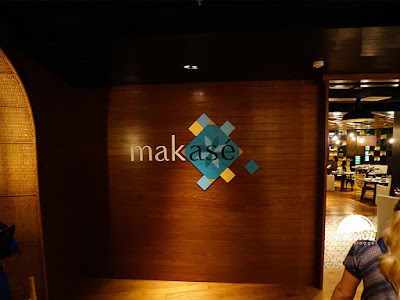 Next to Makase, there is also a Pottery Cafe which is a coffee shop with a coffee machine ready to process quality local coffee beans. 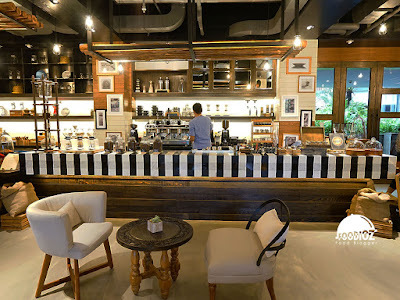 The place is quite spacious with the atmosphere of the homey area and here we able to see the home products made of local works with interesting art. Interesting thing that must be enjoyed in this Indigo hotel is its swimming pool of 3 areas. 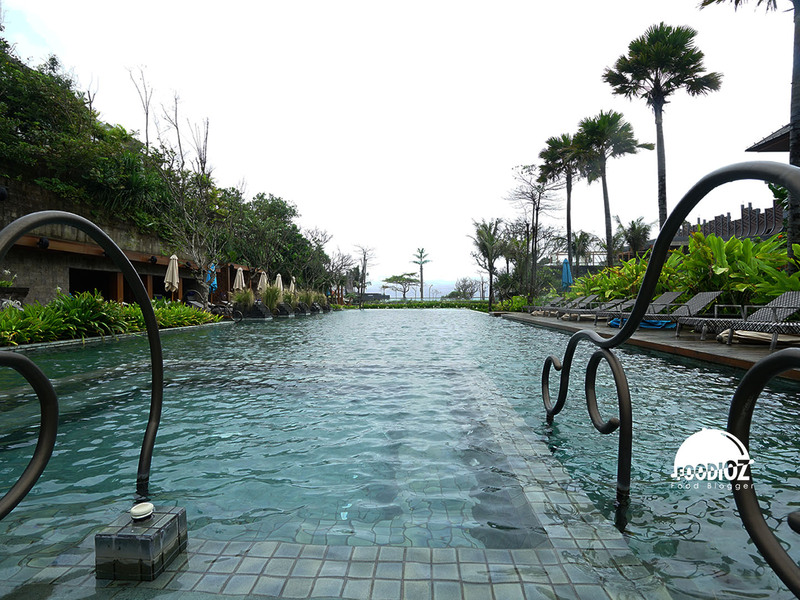 The main pool is clearly visible from the main lobby overlooking the beach. 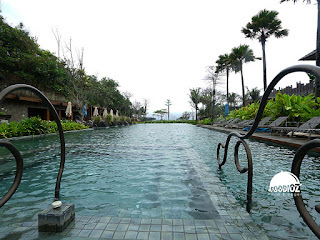 Divided by a special pool for kids and there is also a secret garden pool which is a swimming pool facility with a shady green trees atmosphere so that guests will not overheat when the sun is scorching. In addition to the swimming pool, guests can also enjoy spa services with authentic local techniques. 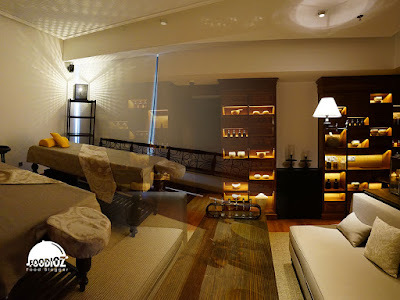 Eastern Rose aromatic massage or relaxation with Balinese bore body mask. All the massage process here uses local products that are certainly a hallmark of Indigo hotel that preserve local Indonesian products. 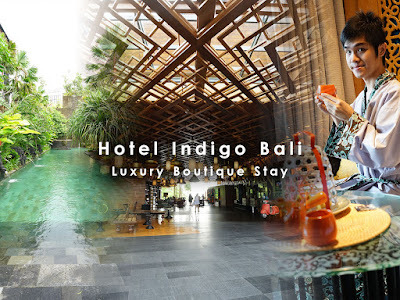 Hotel Indigo Bali will surely be the perfect holiday destination when visiting Bali. A boutique hotel with luxurious 5-star facilities and distinctly artistic hotel designs in general provides a fun and enjoyable experience. 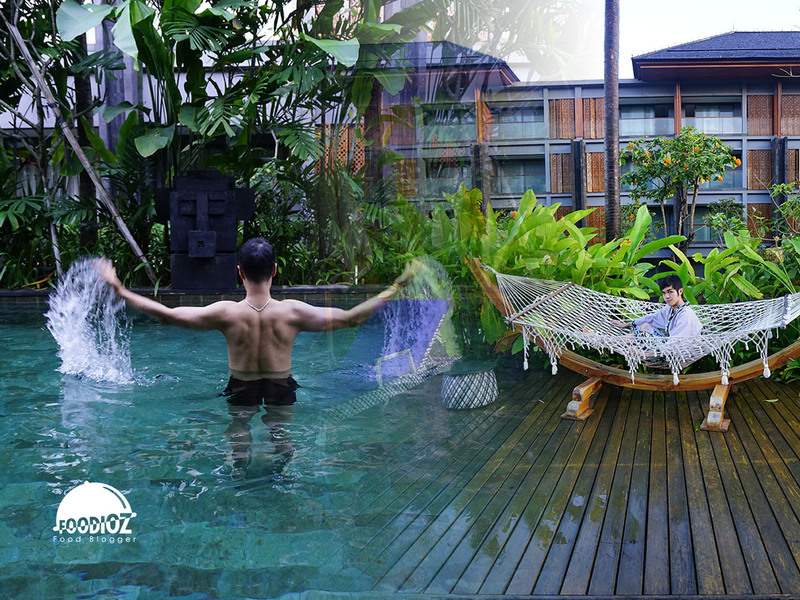 The relaxed, calm atmosphere of the hotel provides a relaxing and perfect holiday moment while avoiding the frenzied and bustling city atmosphere.